The Tsurugiishi stone (also known as the Kaminariishi stone) stands on the site of a former shrine according to an ancient map of the mountaintop. Like the three peaks of Inariyama, this seems to have been a place for the celebration of deities. To the left of the site is a well named Yakiba no Mizu. 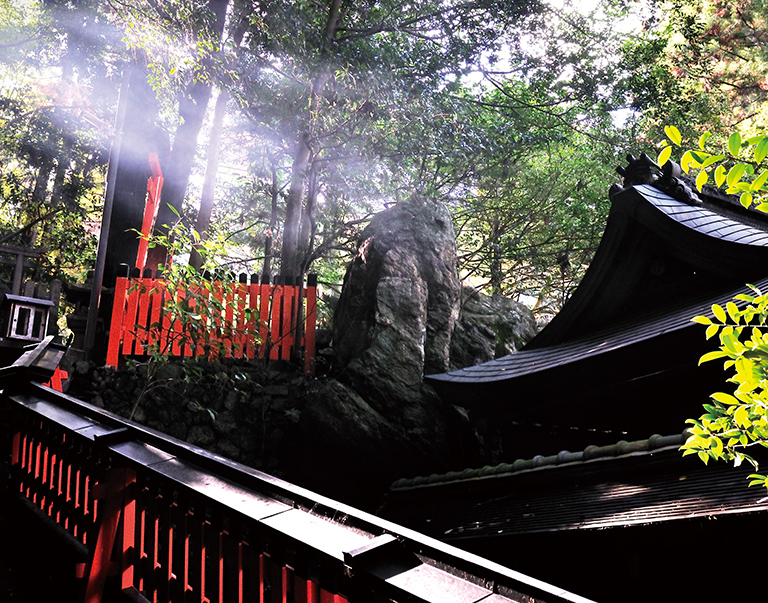 In a Noh song, it is said that Sanjo Kokaji Munechika, a swordsmith who lived in the Heian period (794-1185), received an imperial order to temper a celebrated sword called Kogitsunemaru with the help of Inari Okami on this mountain. 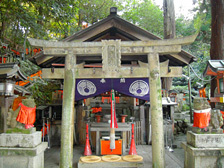 The Tsurugiishi Stone marks the place where these events took place.